More practice. I really like this weave. It's a lot of fun... try doubling the smaller rings, too. Looks just awesome! And nicely done! Thanks! 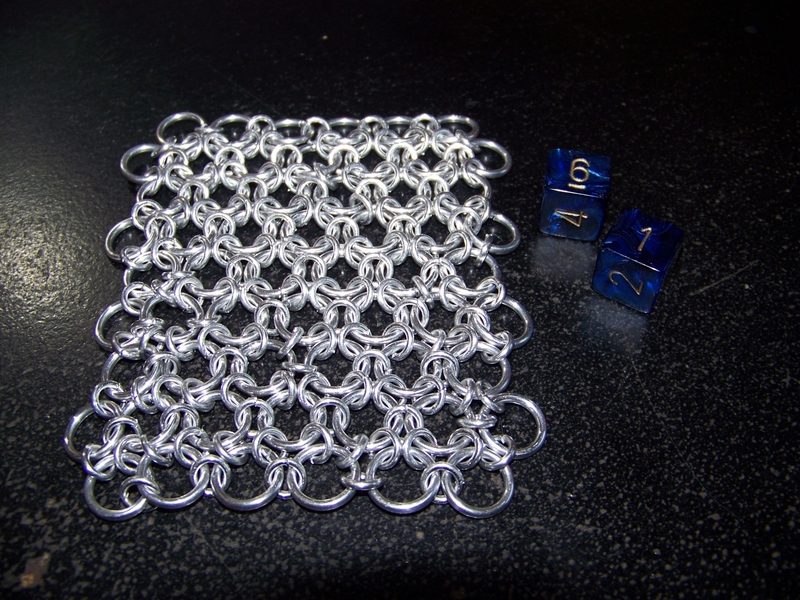 I might try that if I have enough small rings to do the whole patch.